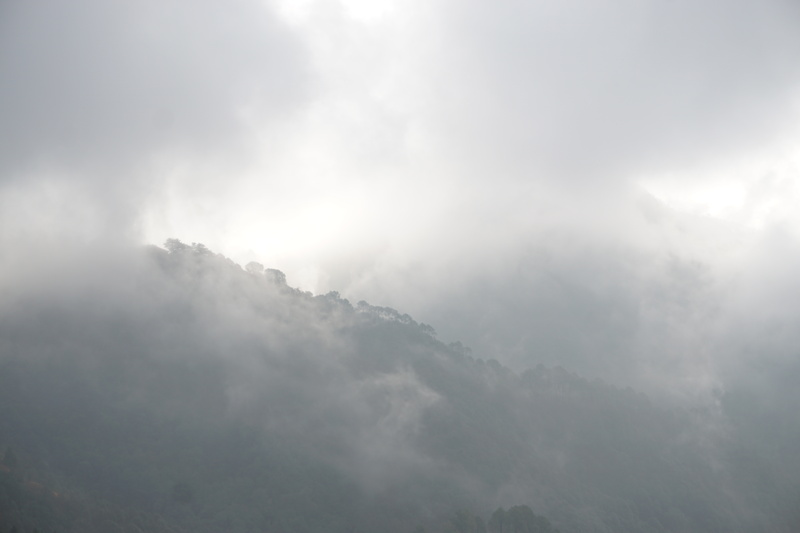 It was still raining in Mussoorie, although the weather was not that bad as the last day. I packed all my stuff and left the Lonely Planet: India guide in the hotel room. I did not want to carry a bulky book now that I had two more interesting books with me. Prior to abandoning the guide, I took images of a few relevant pages for future reference. I wasn’t feeling that well either. Yesterday’s breakfast—a cheese omelette—wasn’t sitting well in my stomach. I had some biscuits and tea followed by an antacid before leaving my hotel. One last view from my hotel in Mussoorie before leaving for Dehradun. Visibility in Mussoorie was still poor. My destination was Masonic Bus Stand near Picture Palace. The route was mostly downhill. I did not have to put much effort. The entire ride was about an hour-and-a-half long and cost me only sixty rupees. The bus dropped me at Dehradun railway station. It was important for me to stay near the station as the cab for Sankri would leave from there early in the morning on 15th. Dehradun was more of a functional hub rather than a tourist place. The terrain was also relatively flat, thus contributing noting to the charms of the hills. The hotel prices near the station did not have the off-season discount I had come to expect of in this region. I got a sub-par room with a television (more on that tomorrow) in Hotel Aparajita for five hundred rupees. There was no geyser either. I was told that I could ask for one bucket of hot water per day. If I needed more hot water, I had to pay twenty-five rupees per bucket. 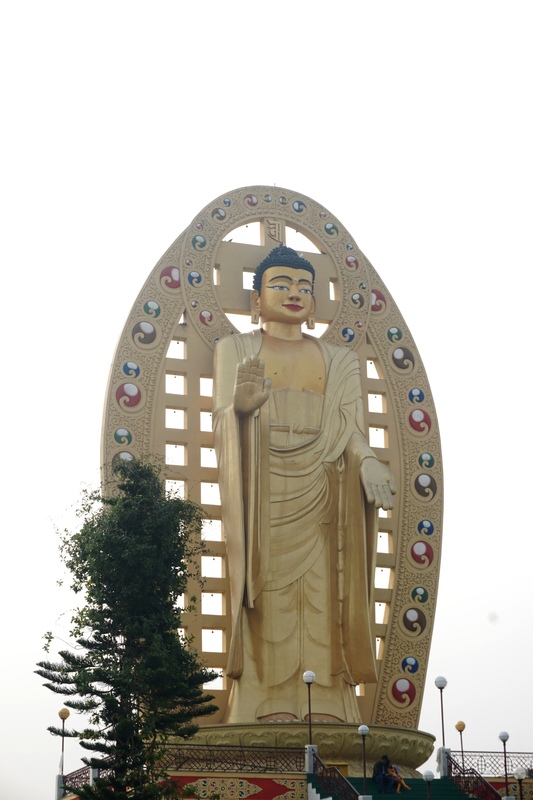 After some light lunch, I ventured out to Clement Town to visit the Mindrolling monastery. It was one of the places mentioned in the Lonely Planet guide. The place was well connected by autos on ‘route 5’, a fleet of Vikrams that operated on a shared basis through a fixed route. 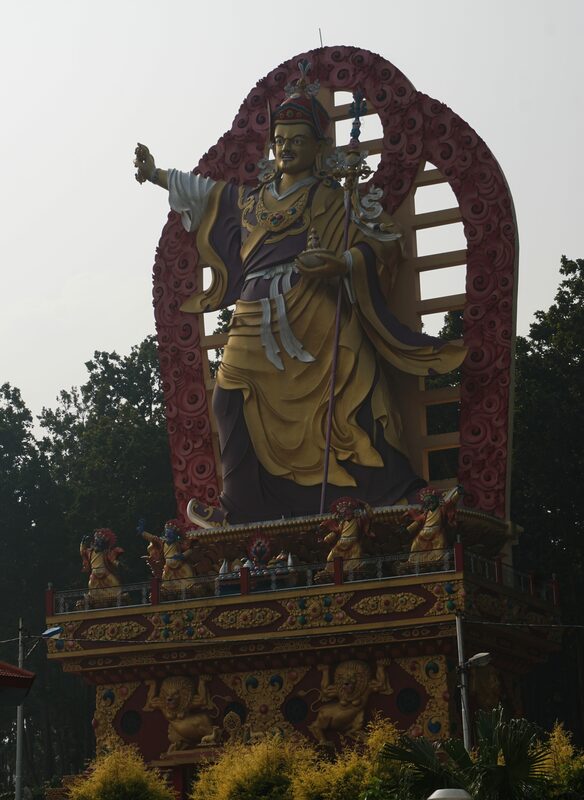 The monastery itself was surrounded by a large Tibetan settlement, the inhabitants of which are mostly involved in businesses like travel agencies, groceries and eateries. It was one of the cleaner areas of Dehradun—a far cry from the dirty and smelly area around the railway station. The temple complex itself was covered in lush green grass. A lot of people came with their friends and families to bask in the winter Sun. 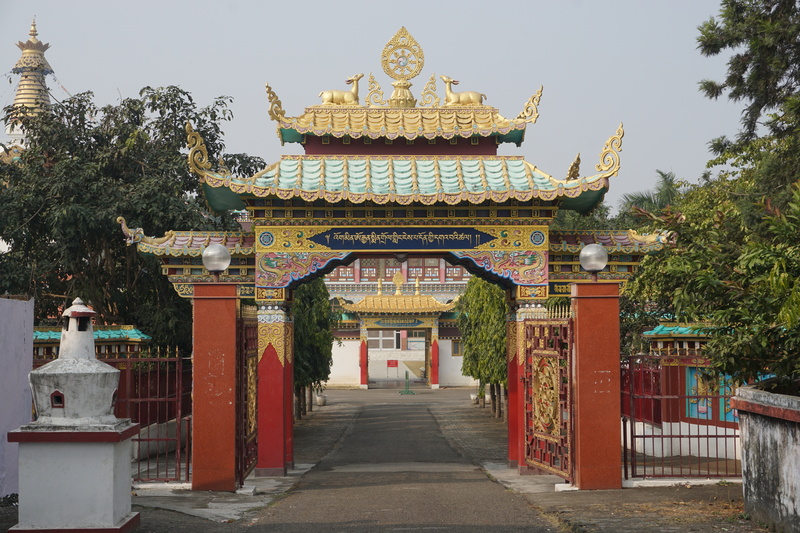 Entrance to the temple complex. 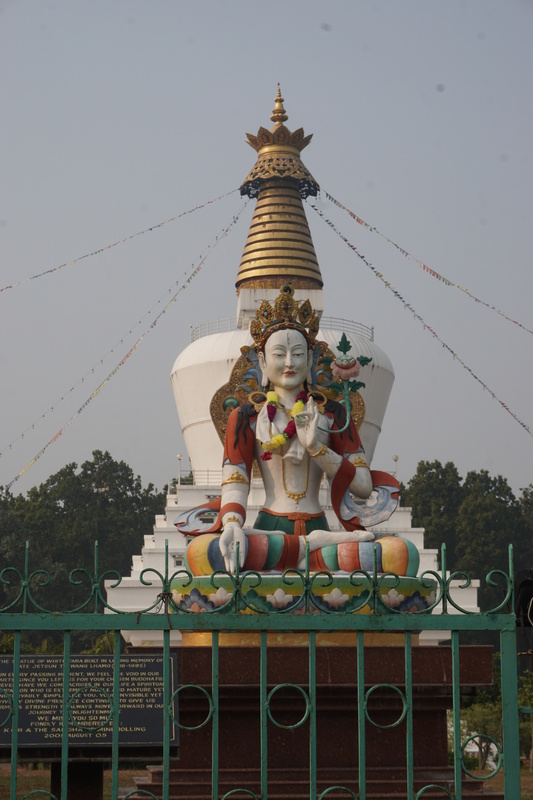 Statue of White Tara with Mindrolling’s Great Peace Stupa in the background. 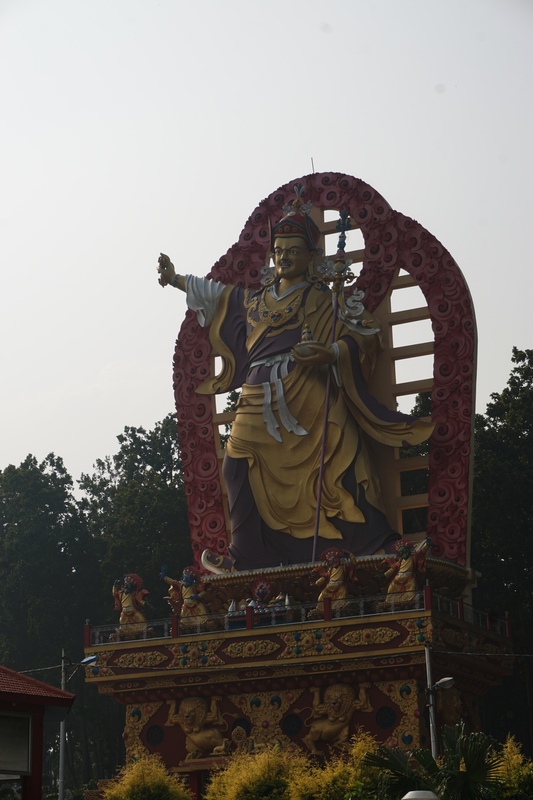 A huge statue of Padmasambhava, visible from the outside, adorns the lawn. 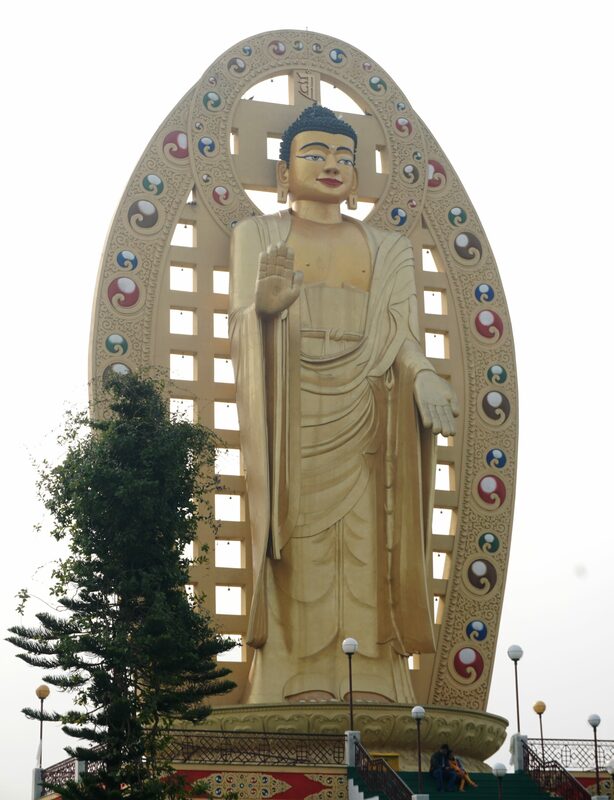 This Mahabodhi statue in located in the the adjacent area. Monks in front of a Tibetan school. There is also a college that teaches advanced Buddhist studies. It offers a very rigorous course that a novice monk, if selected, has to undertake for nine years. 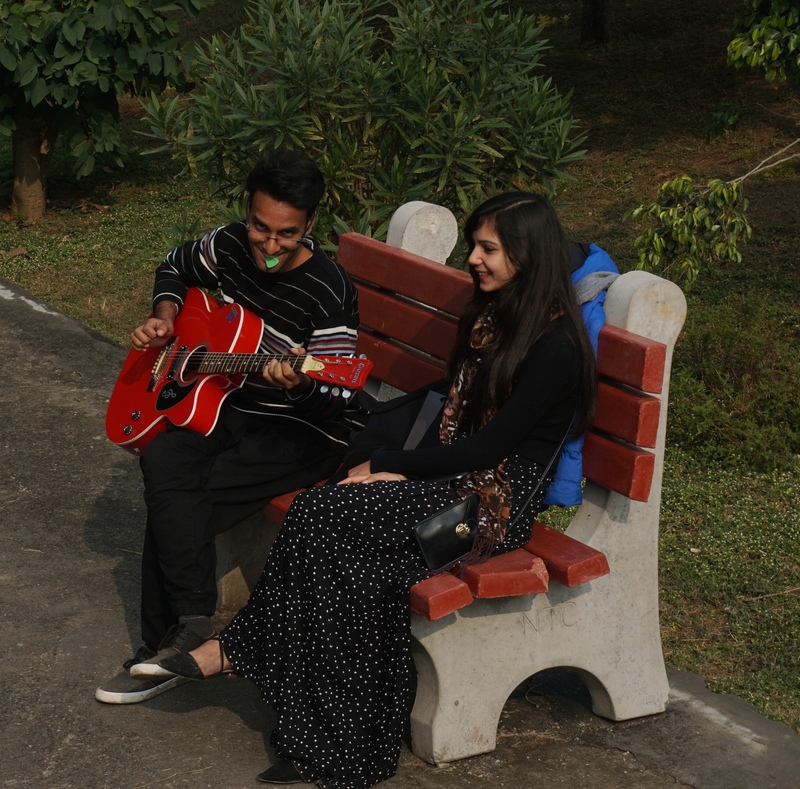 Praveen came with his friend and played guitar. He played the opening piece of Nothing Else Matters pretty well. When I returned back late in the evening, I still felt a bit of discomfort. I ate the simplest food I could find—roti and dal—and retired to my room with my copy of Stephen Alter’s Becoming a Mountain that I had purchased in Mussoorie. It chronicled an unsuspected attack on him and his wife and his subsequent efforts in rehabilitation, both physically and mentally, through trekking expeditions in the Himalayas. It took my mind off the physical discomfort.